【PREMIUM QUALITY】Made of material with the look and feel of soft silk blend that is made from 100% recycled PET(polyethylene terephthalate). 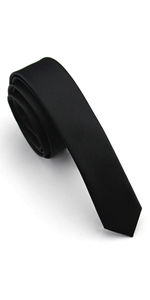 【2 SIZES】Offered in slim tie design: 2.4''(6cm) wide and formal tie design: 3.15''(8cm) wide. Great for formal and casual occasions! 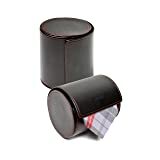 Comes in a gift box made of recycled materials. 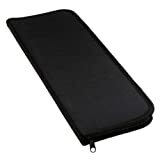 【PERFECT LENGTH】Standard Adult Length: 58'' long, long enough for 4.8' - 6.0' tall adults. 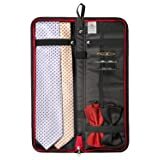 【EXTRAORDINARY FEEL】This classic necktie in high quality fabric with a textured woven jacquard feel brings must-have style to everyday business attire with a satin finish and solid color design. 【100% GUARANTEE】Unconditional Satisfaction Guarantee. 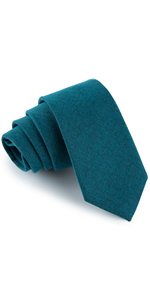 If you are not completely satisfied with your Elviros necktie at any time, we are happy to give you a full refund. 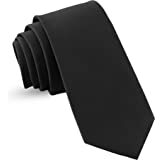 This slim necktie is perfect for the minimalist trend setters who appreciate something a little different and who want to make our planet a better place. 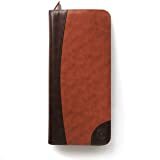 The narrow width--6cm/2.4in and the solid color design will help emphasize your taste on any occasion. All the neckties are well-packaged in a nice little box. And the box is made of recycled material. 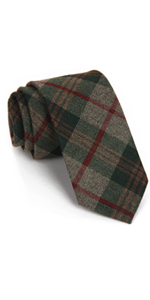 As a professhional necktie manufacturer, we present a good collection of colors for you to choose from. You can always find the most suitable color for you! 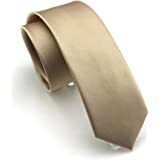 Unlike other overly glossy ties, this necktie has a nice subtle shine. The matt-looking and not-too-shiny surface makes it more suitable for daily wear. 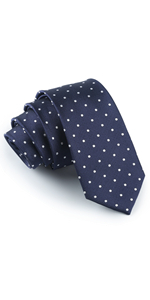 These high-qulity and perfect sizing ties are more stylish than you can imagine. 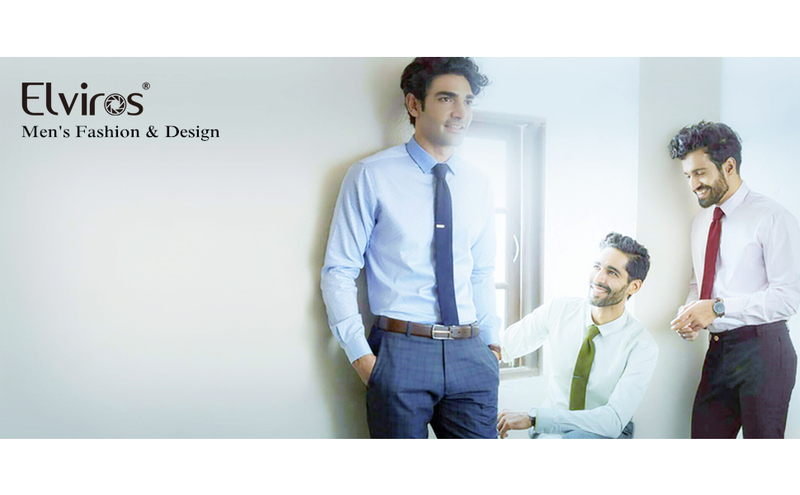 Perfect for both formal and casual occasions. 5.0 out of 5 starsBeautiful colors! Beautiful colors, arrived right away in a nice little box. Ordered an Emerald and a Plum. 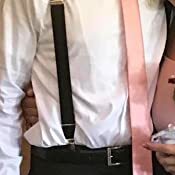 My sons first tie for 8th grade graduation. He's 5'11" and wears. 15 1/2" shirt and it's a good fit. 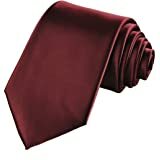 5.0 out of 5 starsGreat ties at a nice price. I'm very picky when it comes to ties. I go for style, quality and value. I couldn't care less about brands. 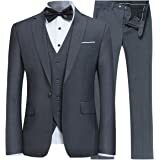 My groomsmen needed ties for my upcoming wedding, I looked through department stores and other sources. I couldn't find anything that I liked. Then I stumbled upon these Elviros ties. I got 4 in the wine color. The picture doesn't give a good representation of the actual color, it is lighter. But it is a good thing in my case because it matched the bridesmaids dresses better. Anyways, the ties look great, feels very nice. And at the price I paid, I cannot complain. 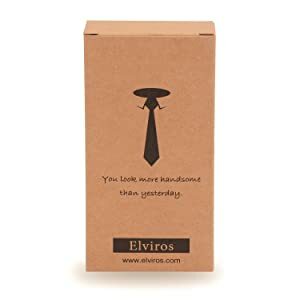 Elviros has left a good impression on me and if I need ties in the future, I'll definitely check out their inventory first. 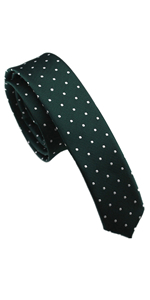 I really like this tie. 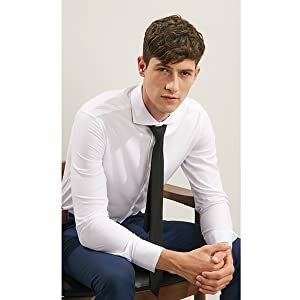 The length is perfect for me (I'm 5'9" with a 17" neck) and the tie is really well made. The color of the tie was my biggest concern. The color was exactly what I was looking for and was a good match to the picture on the product page. It's really nice material and it wasn't too thick. Very easy to tie a half windsor knot and not have a bulky knot at your collar. 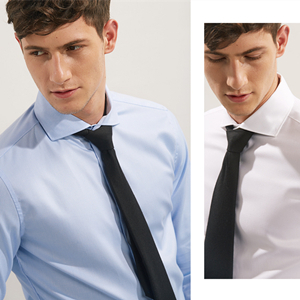 Makes me feel like I stepped off the set of Mad Men; classic look made best with a silver tie bar. I bought a second one in yellow to go with a blue shirt. 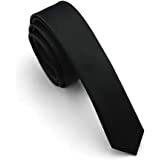 Looks great with a dark color tie clip. Really happy with these purchases. Just bought another one in sky blue; was lighter than expected. 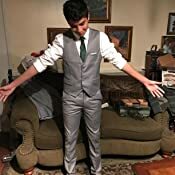 Might pick up a darker color blue for grey suits. 5.0 out of 5 starsGroomsmen ties! Bought these for all the groomsmen! They were great and the perfect color. I had a very hard time finding the right color and was super excited to find these ones. 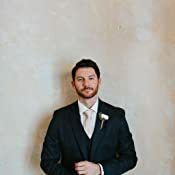 Very slim and worked for all the groomsmen even though they were all very different in height and sizes. Very happy and will be buying one for my husband! 2.0 out of 5 starsMore orange than red! 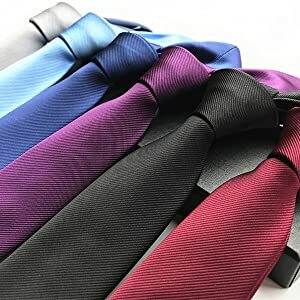 I have ordered several colors of these ties. They are nice. I wrote this to let people know this should be labeled an orange tie! 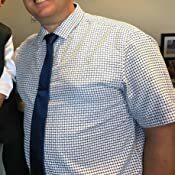 I have a few red ties and this is not even close. Disappointed but will wear it. 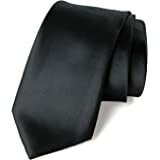 I will order a different brand name and hopefully will receive a real red tie for Valentine’s day. 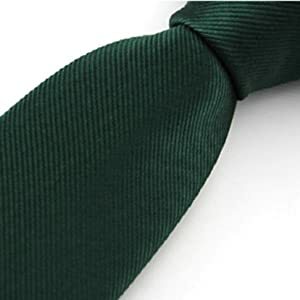 Very nice quality thin tie. The color is exactly what I wanted as I purchased ot for my groom for our upcoming wedding. The fabric has a bit of s texture to it and is not as shinny as it appears in the picture which is what I wanted. 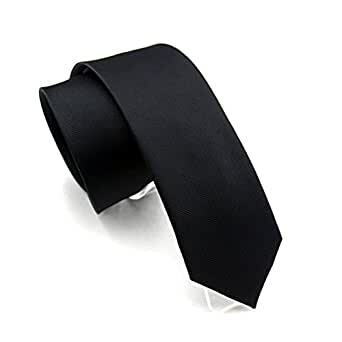 5.0 out of 5 starsNice Tie! 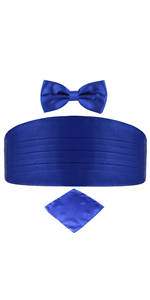 Ordered this for grooms tie, to match with bridesmaids dresses. It looked great, matched perfect. Happy with the quality and color. i love it! 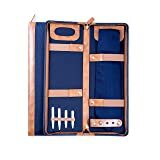 no more rummaging around trying to find my ties an cuffs an tie clasps in my suitcase. — Jerry Z.